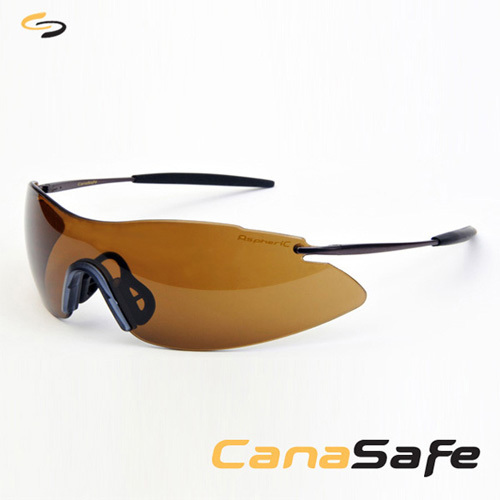 A line of high performance protective gear that is exactly what you've come to expect from CanaSafe. 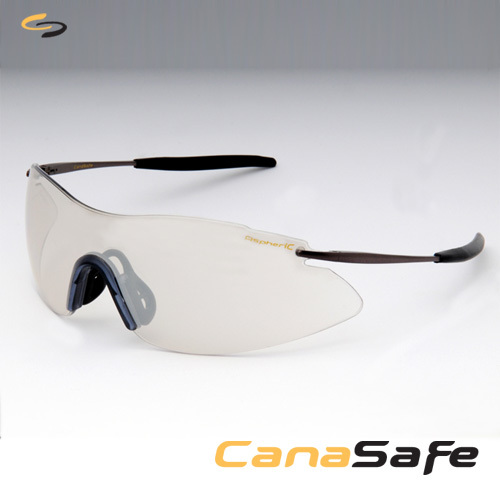 Sleek, Stylish, Designer Safety Eyewear. That's AspheriC. Sleek gunmetal temples reduce "Hot Spots" & "Hug The Head" due to their unique sprung hinge design. Combined with a full view frameless lens, AspheriC is so light, you forget its there. Supplied standard with a handy eyeglass cord & microfibre cleaning cloth/carry case, AspheriC moves safety eyewear into a new dimension. New AspheriC Metal EyeGear, Extremely Lightweight With Full Cover Fusion Designer Lens.